The intergenerational transfer of wealth on the horizon will create both risks and opportunities for the financial planning industry. Around $30 trillion in assets are expected to pass from the baby boomers, one of the wealthiest and largest generations in U.S. history, to Gen Xers and Millennials. Preparing for this transition will be critical for any financial advisory firm. How advisory firms prepare and handle this long-term trend will determine which succeed and which falter. This issue of aging baby boomer clients looms over the financial advisory. "Studies regularly show that when wealth passes to another generation, in the majority of cases, the heirs change financial advisors," said Gauthier Vincent, head of Deloitte's U.S. Wealth Management practice. "The relationship between assets, asset owners and financial advisors is unraveling before our eyes." How advisory firms prepare for this transition will determine which succeed and which falter. The oldest baby boomers are entering their 70's, so the transition has only just begun. As it accelerates, there will be an unprecedented amount of assets and clients up for grabs. It's inevitable that there will be a huge shift in market shares and there will be winners and losers. The truth is, all financial advisors have their work cut out for them. A 2017 Scottrade study conducted by Harris Poll found that 67 % of Millennials and 64% of Gen Xers feel their advisors sometime recommend products and solutions that are in their advisor's own best interest. The same study found that only 22% of Baby Boomers and 15% of Seniors feel the same way. Just 18% of financial advisers say they are prospecting Millennials. Ignore Millennials at your own risk, someday this will come back to haunt you. There is no debating that at some point Millennials will be the largest generational segment of high net worth clients. The "Great Wealth Transfer" is already underway & Robo Advisors are coming for you! Relative to their elder counterparts, millennials may have fewer assets currently, but don't let that fool you. It's a common misconception that appealing to them takes an unreasonable amount of time and money. Yes it will take a effort. Yes you will have to invest time and in certain cases money, but there are very few things in life or business worth doing that are easy or free. The current perception is that most Financial Advisors work with people with a minimum of $500k to $1 million in investible assets and it's ok for them to ignore everyone else. I'm not here to tell you that appealing to the next generation is going to produce real ROI in the short term. I'm not telling you to go out there and sign as many Millennial clients as possible, regardless of their net worth. I'm just telling you not to ignore them completely. Learn to speak their language now. That way when the wealth does transfer to the next generation, you've positioned yourself to do business with them when it will equate to real ROI. It's similar to contributing to an IRA or qualified plan in your twenties. It's all about preparing for the future. If you completely ignore appealing to the next generation of clients, I guarantee some of your competitors will. I'm already seeing a huge uptick in the number of RIA's that are implementing a more modern approach to their marketing efforts online. SEO & Social Media Marketing do take time, so those who start now have a competitive advantage over those who are late to the game. You also have to consider that not all of your competitors are human. Robo Advisors should scare you. They are already engaging the next generation of clients by affording them access to low cost, automated investment opportunities that were generally reserved for the ultra wealthy, like tax-loss harvesting. Betterment, one of the behemoths in the industry, already has over $10 Billion AUM. Another example, Personal Capital, is an all in one platform that provides free financial planning tool in addition to access to an actual human financial advisor. They have $5 billion in AUM as of October 2017. Robo Advisors are carving out huge chunks of market share. According to the consulting firm A.T. Kearney, AUM by robo-advisors will grow by 68% annually to $2.2 trillion in the next five years. When it comes to Millennials in particular, consider the burden of hiring a real life Financial Advisor vs going to the App Store and scanning your fingerprint. Robo Advisors have much lower account minimums if they have minimums at all. Not to mention they usually have much lower fees. A traditional financial advisor will typically charge somewhere around a 1 percent annual fee to manage your portfolio. Robo-advisors generally charge an annual fee between 0.25 percent and 0.50 percent of assets. Combine those factors with the fact that Millennials don't depend on face to face human interaction and you can see why they are gaining so much market share. Andy Rachleff, the CEO of Wealthfront, which has $5.5 billion AUM, recently said, "Young people would prefer to deal with software rather than people." As it turns out, he may have a point. If you don't believe me, read this and then check out the comments section. Millennials have serious trust issues when it comes to financial institutions, including financial advisors. There is obviously another side to this argument. There are a litany of articles stating that robo advisors will always fall short of their human counterparts. Three guesses who wrote most of those articles. Surprise surprise, a considerable amount are written by a Financial Advisors themselves. So obviously there is a little bias depending on who you ask. The truth could lie somewhere in the middle. Hybrid models that combine the best of both worlds could very well be the wave of the future. As one of my mentors Gary Vaynerchuck always says, "The market gets to decide... The cream always rises." Financial Advisors can talk about why they are superior to robo advisors until they are blue in the face and vice versa. In the end it's not going to be up to any of them. The market gets to decide. As the wealth does transfer to Millennials and Gen Xers they will have to decide where and who to invest with. Millennials communicate and do business in a completely different way than their baby boomer counterparts. As I have discussed before, they grew up online and with social media. So when they are making the decision of where to invest their newly found wealth, where do you think they will go to do their research? Advisors need to understand how truly connected this new generation is. Not just to each other, but to information. 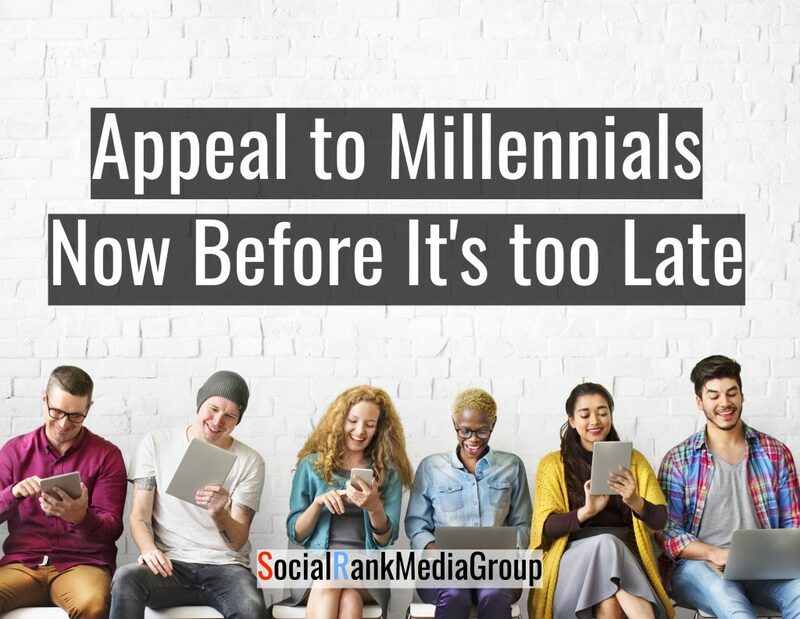 Millennials want anyone they do business with to have a presence online. That absolutely includes Financial Advisors. The first thing they'll do when considering investing with you is Google you. They'll review your social media profiles and comb through forums looking for reviews of your firm. These generations trust businesses that have clean websites, robust social media profiles & positive reviews. Businesses that lack these things are merely an afterthought. 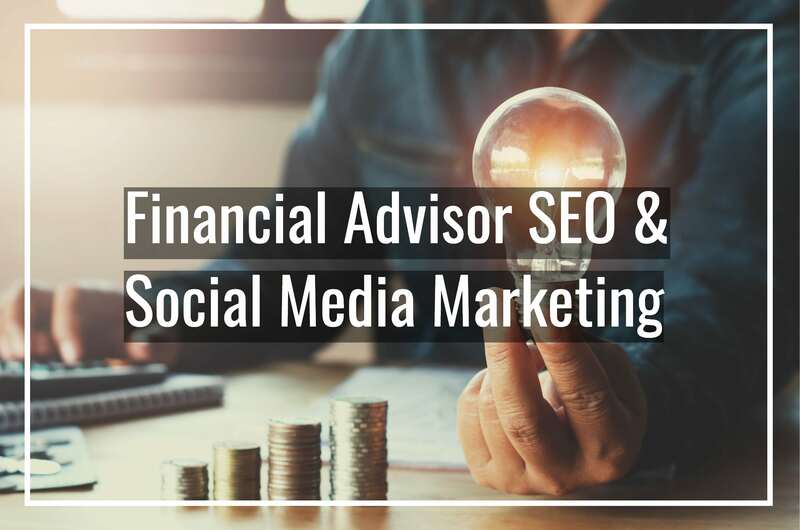 The financial advisors that have the foresight to build up their online presence now will have a clear competitive advantage over the ones that do not. Especially when you consider that Millennials and Gen Xers are much more likely to NOT trust Financial Advisors compared to their predecessors. So you can count on them doing in depth research of your firm ONLINE before they sign with you. If you don't manage your online presence, there could be negative reviews hurting your firm that you aren't even aware of. Everyone has a smartphone these days. People are glued to their mobile devices. If we have a second of downtime, we pick up our phone. That's just the way it is nowadays. Next time you're at a restaurant, count how many people are looking at their phones. People barely put down their phones to drive, it's crazy. A huge chunk of that time is spent scrolling through their various Social Media platforms. Plenty of Financial Advisors are rolling out premium content. The problem is they aren't putting it where the eyeballs are. Why not share that amazing content you are already producing in places where it will get way more reach. Sites like StumbleUpon, Medium & Flipboard are popping up everyday. The more places your content lives, the more reach you will have. It also happens to be a huge boost for your SEO too. Creating a robust online presence doesn't happen overnight. It takes consistent effort over an extended period of time. SEO campaigns can take months to really take hold depending on the keywords you're going after. It takes even longer to build social media profiles with real depth and actual followers. You also have to consider that if people aren't getting their financial news & advice from you, they'll be getting it from your competitors. Acorns is a great example. They're a micro investing app that you can download in the app store. They have a growing social media presence that is only going to get bigger as time goes on. They already have have over 100,000 followers on Facebook & 10,000 followers on Instagram. Millennials and Gen Xers get their news from their Facebook feeds. Now they can get their financial news there too. It's time to dive in. If you don't, the future high net worth individuals of the world will be getting their financial advice from your competitors, human or robotic. As you can probably tell already, I'm pretty passionate about this. You may be asking yourself, "What authority does this guy really have?" Well, I spent 8 years working in Financial Services and I still have active FINRA series 7 & 63 licenses. I was the dedicated service contact to a RIA with over $2 billion under management for close to 2 years. It was even a part of my life growing up as my Mother actually worked as the Operations Manager for a couple of Financial Advisors in the Bay Area. So it's safe to say I'm no stranger to the industry. On the flip side, I also have the advantage of being Mark Zuckerburg's original target audience. Facebook launched in February 2004 when I was a freshman in college. So you'll be hardpressed to find anyone who has been using social media longer than I have. The gist of what I'm getting at is that the industry is going to change because the client base is going to change. Baby Boomers can't live forever. Things like SEO and Social Media Marketing take time to implement and those are the tools you need to appeal to the next generation of clients. The firms that implement them now will have a serious competitive advantage over the ones that do not.